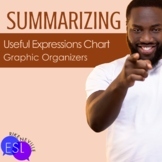 This kit includes a variety of summarizing graphic organizers that you can choose from to fit your instruction. 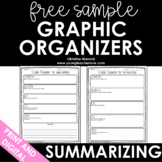 The summarizing graphic organizers can be used during whole group, small group and independent reading. A candy corn themed summary graphic organizer. Includes main idea and important details. Includes a black and white copy and a color copy. This is a summarizing graphic organizer template for students to use after reading information text. It includes the five W`s. Summarizing foldable graphic organizer. Fold vertically, then cut on the bold vertical lines of the top fold. 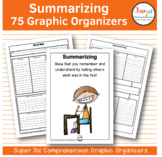 Summarizing is a difficult skill for students to master. This graphic organizer can be used in small or whole group lessons or for independent work once the skill has been taught. 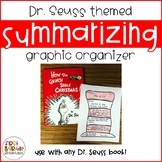 Great way to have students practice summarizing what they read and understanding what needs to be part of a summary.